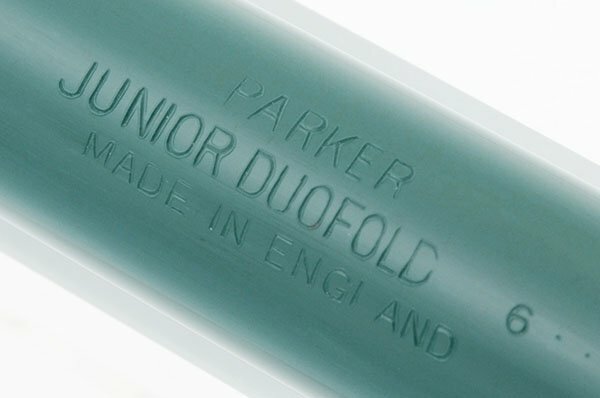 Parker Duofold Junior fountain pen made in England. 5-5/16", Black, with an Aerometric filling system. Open Parker #10 nib is 14k and fine. Excellent + condition, working well. Type Fountain pen with aerometric filing system. 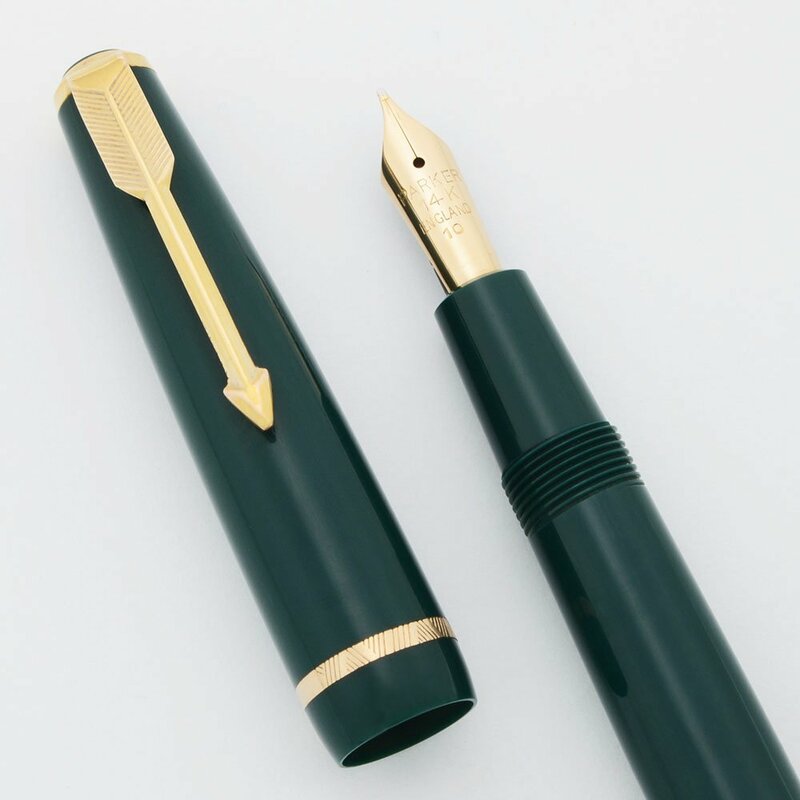 Product Name Junior Duofold (the junior models are full length and slim bodied, with #10 nibs). Length Junior size, about 5-5/16"
Filling System Aerometric squeeze filler like the later Parker 51s and the Parker 21s. Nib MEDIUM Parker England #10 open nib is 14k. It's in nice condition, smooth on paper with nice tipping remaining. Just a hint of flex to it. Condition Excellent + condition. No cracks or chips in the pen. No personalization. There's some light wear on the cap and barrel, and some small spots of brassing on the edges of the clip, and a little wear in the plating of the gold ring that surrounds the cap jewel. 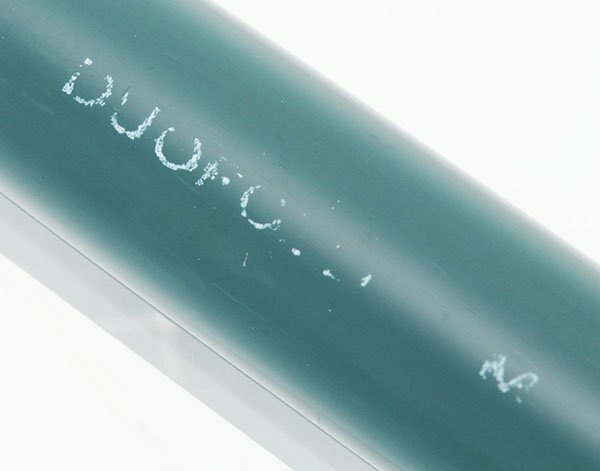 It's working very well, the imprint is clear and crisp, and it still has a little bit of its original chalk mark denoting the model and nib size (see photos).